On February 26, 2013, New Jersey Governor Chris Christie legalized Atlantic City online gambling. Nevada was the first state to make history by offering a legalized online poker package, and Delaware made some forms of Internet gambling legal just ahead of New Jersey. The New Jersey Legislature overwhelmingly approved the new Internet gambling package, which was then signed into law by Governor Christie. The law provides for a ten-year trial of Internet casino gambling for New Jersey residents and visitors, restricting the licensing to the current 12 Atlantic City casinos. Statewide, New Jersey residents have always been able to enjoy Atlantic city online casinos by playing with reputable legal offshore gambling sites, and that option is still available. But the new law aims to keep New Jersey dollars at home, providing a wealth of Internet gambling options which will run through physical computer servers located in Atlantic City's famed casinos. You need only be 21 years old to play and physically accessing the Internet from a computer in New Jersey. 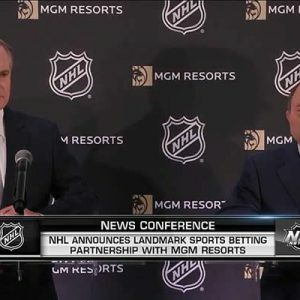 Those who enjoy placing a bet on the horses, playing a few hands of poker, betting on their favorite sports team or enjoying casino table games and slots will definitely benefit from the new Atlantic City online gambling legislation. Gambling has a long history in New Jersey, a state which has adopted a very permissive and positive view of gambling which goes back to the early 19th century. Lotteries were very common in New Jersey in the early 1800s, and even helped pay for the state's military efforts throughout the French and Indian War, as well as the American Revolution. This new online gambling offering is just the current version of such historical wagering options delivered in NJ. For example, the famous Freehold Raceway is the oldest racetrack in the United States, and has been offering horse racing wagers since the 1830s. But times are changing, no longer is the need to drive half way across the state to bet on horses. 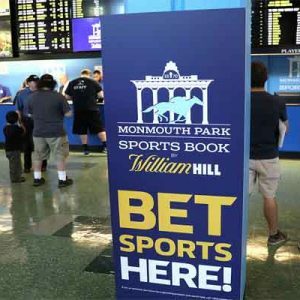 New Jersey players can now check out what options are available in our Atlantic City online sports betting section for the top rated sites that offer betting on horses, your favorite sports teams and even casino games. Many generations of New Jersey residents have enjoyed, and still enjoy, gambling in its physical form, and now technology has sided with friendly legislation to deliver Atlantic City-based internet wagering to your PC or smartphone. Players can open accounts online using their preferred credit card or an alternate, secure form of payment, and if an Atlantic City online poker or casino gambler travels out of state, they can simply access legally certified offshore Internet gambling portals until they return to New Jersey. The recently launch of their online poker platform has expanded options for players, including the Atlantic City poker tournament landscape. Since the United States federal government does not support a nationwide online gambling picture, individual states like New Jersey have had to offer their own statewide Internet gambling legislative packages. The historical and current climate in New Jersey is very gambling-friendly, and combines with the "always available" feature of the Internet to offer NJ residents and visitors a complete virtual gambling package. 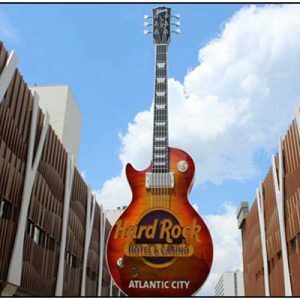 Atlantic City casino hotels will now be able to add internet betting to features like world-class dining and five-star entertainment for those New Jersey residents and travelers headed to the world famous boardwalk city. As mentioned above, New Jersey has legalized online gambling to be licensed, regulated, and offered within the state of New Jersey. It will take some time to develop New Jersey's infrastructure which will license and regulate the new state side online gambling platform for New Jersey residents, and of course online gambling sites which are in compliance with licensing requirements and industry standards are in development. 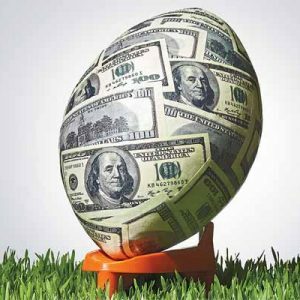 Many players are waiting to see how robust the sites turn out to be, and if they will offer the same types of generous bonus schemes and promotions that their offshore competitors are now offering. As we wait for the home grown version of online gambling to launch, there are some very high quality and secure online gambling options which currently accept players from Atlantic City and throughout the state of New Jersey. Las Vegas USA is a licensed and regulated offshore casino that brings the feel of Las Vegas and Atlantic City right to your computer. They are very reputable and offer new players some fantastic welcome bonuses to choose from including 400% bonus up to $10,000 for slots or their 150% cashable bonus up to $3,000 for table games. 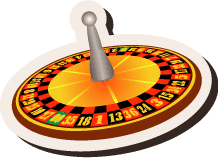 This site is a true veteran in the industry and reflects the best online gambling has to offer in the way of bonuses and rewards. 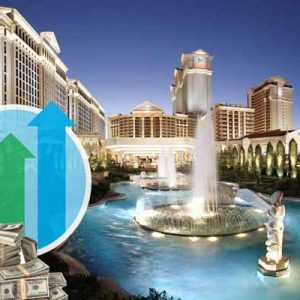 By playing with an offshore site such as Las Vegas USA, you will get much more bang for your buck. We have carefully reviewed the many sites which legally accept Atlantic City players, and have listed the ones which we felt exceeded licensing requirements and industry standards, and went above and beyond in their commitment to player safety and satisfaction. They are all legally licensed by a legitimate governing jurisdiction which offers strict regulation and detailed compliance certification monitoring. They also met our expectations in regards to performance, reliability, and security.